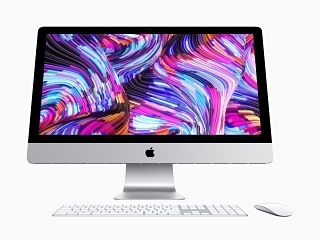 Following a long wait, Apple is finally updating its iMac PCs. This news came after the technology giant announced that it will be improving its range of iPads. With only a few days before a major event, Apple introduced a whole collection of its products. Indeed, its iMac desktop computers now feature better processors as well as optimised graphics. Both the 21.5-inches and the 27-inches devices have been fitted with Radeon Pro Vega graphic cards. Alongside the updated graphics, the iMac desktop computers also come with new processors. Indeed, the smaller PC can be equipped with either an 8th-generation Intel quad-core i3 or 6-core i5 processor as well as a Radeon Pro 555X GPU or a Pro 560X. The larger one comes with a 9th generation chipset and a Pro Vega 48 GPU. A few days ago, Apple also gave a new look to its lineup of iPads which are already available for purchase. Furthermore, the American company is expected to unveil its own streaming service during its next event. According to some rumours, the company could also be planning other updates regarding its iMac Pro. Already available online and at retailers, the range of PCs is priced from £995 and goes up to £4504. The gadgets are also fitted with the latest operating system, the macOS Mojave which comes with dark mode, Stacks and a redesigned Mac App Store. - The Notebook 9 Pen from Samsung has been revisited!